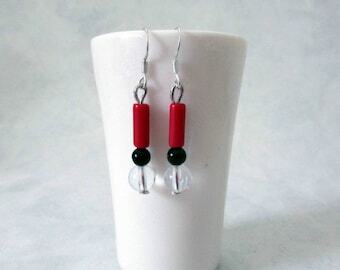 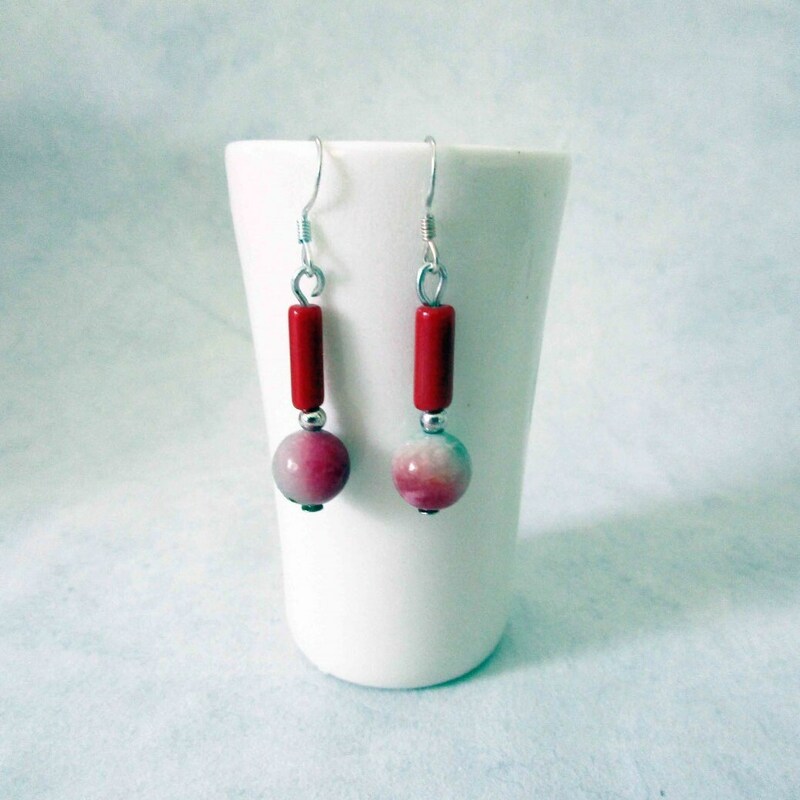 Red and pink gemstone dangle and drop earrings 35mm (1.37In) including hooks. 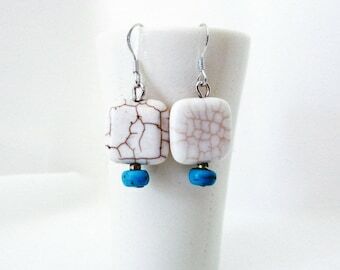 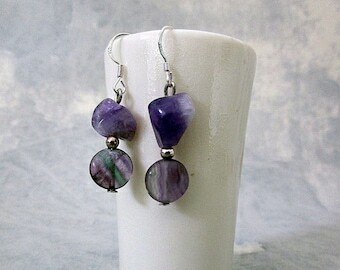 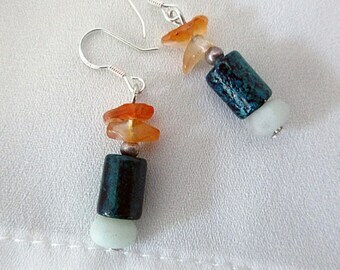 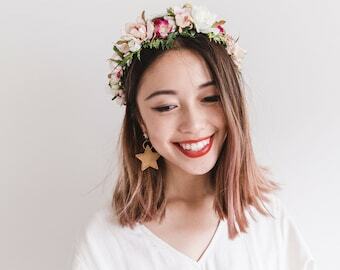 The earrings have 10mm sterling silver hooks . 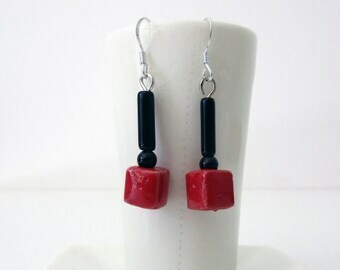 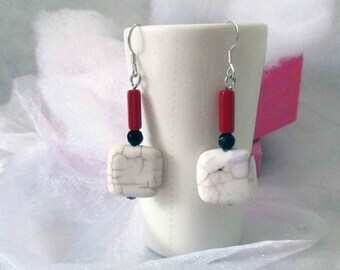 The gemstones I have used are red howlite and a round tourmaline bead.